To design your own spreader bar, you will need to know the span of your spread and the weight of the load you’ll be lifting. Also consider any height restrictions that will dictate the sling height above the load. 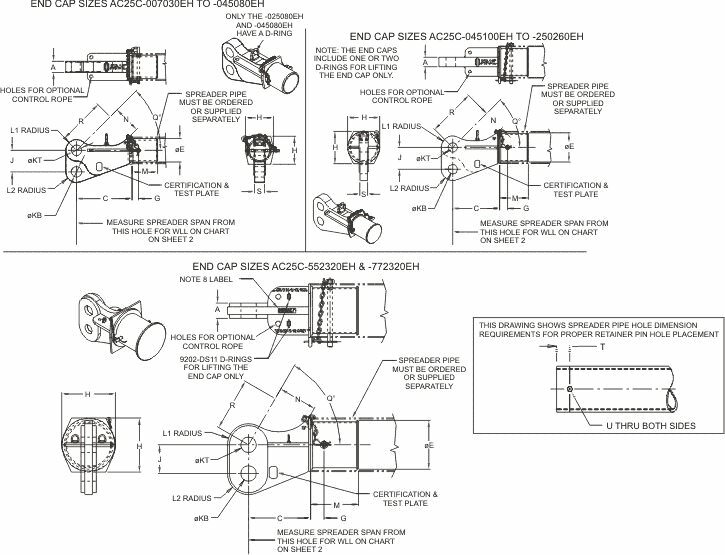 Always thoroughly review the end cap manual, #SAC25C, prior to use to ensure your proposed application is within the limits of these particular end caps. Use two end caps, one on each end of pipe for capacity of 2x the end cap work load limit. Each End Cap is proof-tested, ships with certificate. Material is steel, painted yellow. 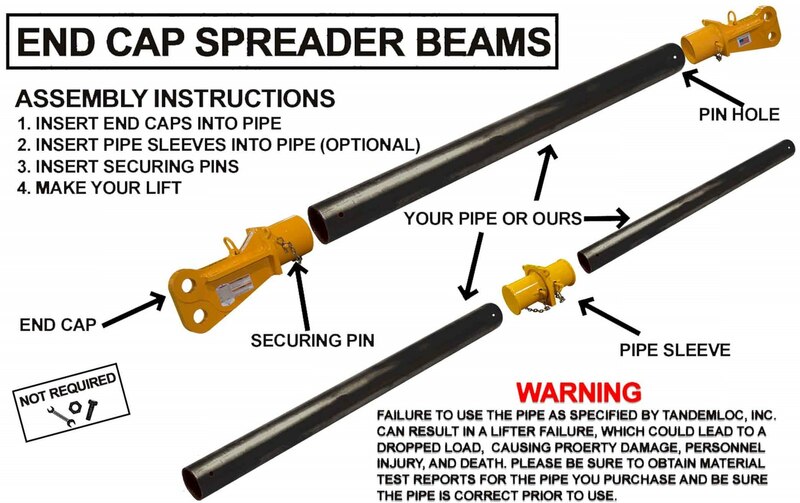 Spreader bar assemblies made up of End Caps and cut to length pipe can be proof tested & certified for the loads shown in the chart below upon request. 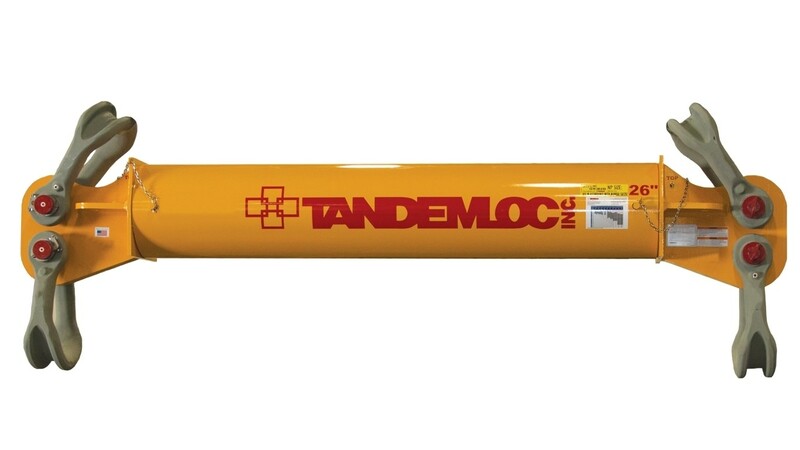 Use two end caps, one on each end of spreader pipe for a capacity of 2x the end cap work load limit. Use manual #SAC25C, included with each set of pipe caps. Each pipe cap has a label with data as shown below and the nominal pipe size it fits. Label may say "Sched 60 wall” instead of "Sched 80 wall" depending on size of end cap. Each end cap over 8" has one or two D-rings for lifting the end cap only. It is the user's responsibility to conform to the span and the pipe specifications exactly as indicated! Caution: Never use a sling angle of less than specified. NEVER EXCEED THE WORK LOAD LIMIT (WLL) for the pipe, per the span indicated, nor the capacity of the end cap! 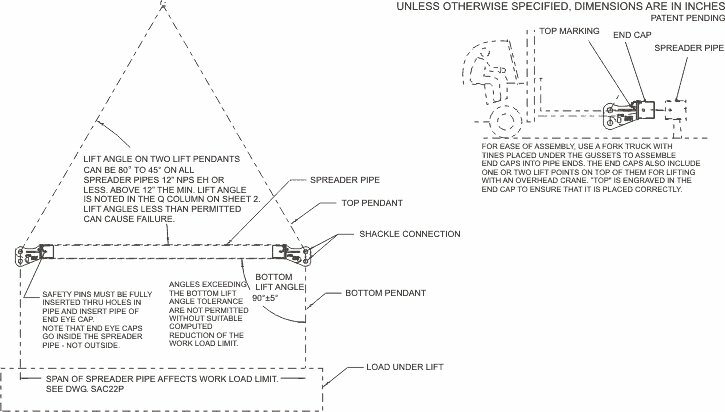 Failure to stay within these limits could result in lifter assembly failure, leading to property damage, injury or death from a falling load. Need help with the End Cap App? Here are some instructions.